Enterprises are adopting and investing in Enterprise Resource Planning (ERP) software more than any other technology, according to a recent global IT spending report by Computer Economics. And many times these enterprises are not buying new business systems; rather they are making improvements and deploying added functionality to the ERP systems they already have. The author of the report, John Longwell, vice president of Research at Computer Economics, suggests this trend is fueled by the fact that ERP applications are platforms for many business applications that enterprises most want to deploy or augment: the top two being business intelligence (BI) and mobile applications. 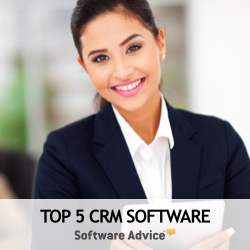 However, Customer Relationship Management (CRM) and enterprise collaboration tools are also top trending investments although, again, the dollars are spent mostly to make improvements to existing systems rather than in purchasing new ones. This is not great—but also not surprising—news for CRM software vendors. Sales of traditionally licensed or on-premise CRM systems are trickling in and have been doing so for some time now. The more savvy business software vendors have turned their energy to selling either Software as a Service (SaaS) based solutions in the cloud or specialized business solutions such as contact center systems to overcome the lull. Such a strategy makes sense considering new technologies such as SaaS, cloud, Business Process Management (BPM), social, mobile, analytics and even open source position contact centers and call centers in a wide open new technology market space, that today remains more sparsely populated with competitors than in prior years. Vertical Solutions, Inc. (VSI) is one of the few CRM software vendors leveraging new technologies to compete in the contact center space that did not begin as a CRM software provider. It was founded in 1986 as a legal billing software development and consulting firm. In 1992, the company released its first generation mobile technology, Fieldcom, the beginnings of its stake in field service management. In 2006 VSI raised $20 million in an IP divestiture, which the company then used to develop the Virtual Services Platform (VSP) that is the foundation of its next generation SaaS-based CRM applications. And in 2010, the company launched its new line of cloud-based customer service software solutions. Today it is known as a CRM Contact Center and Field Service management solution provider. The company has a good reputation, 25 years of industry experience to put behind its software offerings and solid reference customer accounts such as ACCO Brands, ABB, John Moore Services and Rubbermaid. While Vertical Solutions was recognized in Gartner's CRM Customer Service Contact Centers in 2010, it did not meet the criteria for that same ranking in 2011. However, it has been recognized by Gartner in its Magic Quadrant ranking in Field Service Management from 2008 to 2010, and by Aberdeen Group, the Association for Services Management International (AFSM) and the Service and Support Professional Association (SSPA) in previous years. Despite a 25-year history, a solid reputation and robust products, the company is small and not growing in customer acquisitions and revenues at the pace most industry analysts expect. This failure is largely attributed to a lack of marketing and demand generation, however, any concern over financial stability is largely absent. The company's target market is manufacturing, third-party outsourcers, healthcare, and insurance companies. Vertical Solutions lacks key alliances but has formed a few partnerships with NetSuite (for on-demand ERP software integration) and Pervasive (for bespoke system integration). It is also attempting to break into the South American software market via resellers, such as Worldwide Telco.